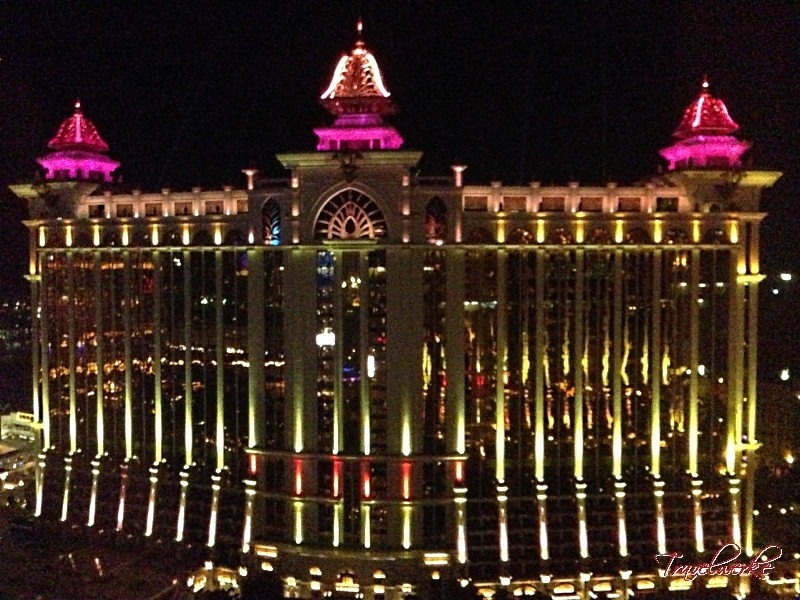 Once dominated by Chinese gambling houses and casinos, the 2002 expansion of gaming concessions paved the way for new operators and Las Vegas-style resorts in Macau. 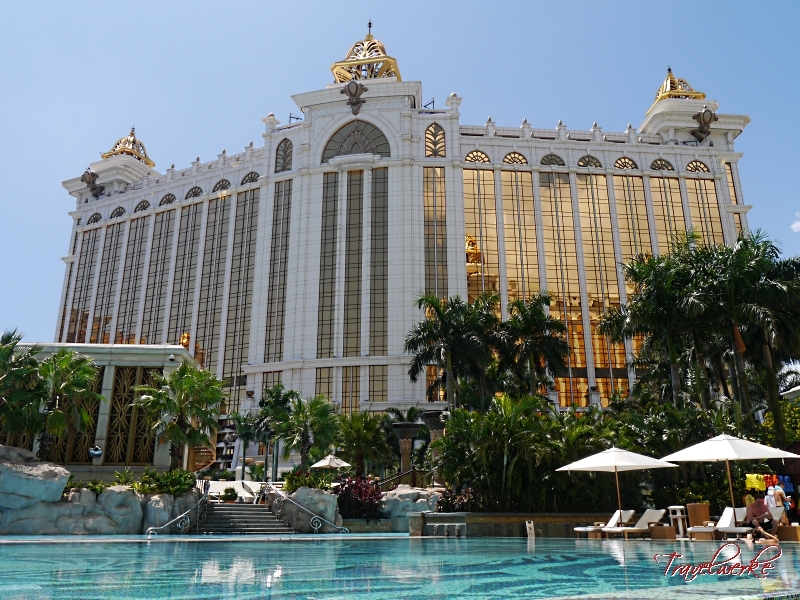 Officially opened on 15 May 2011 and expanded earlier this year, the Galaxy Macau complex is among the largest integrated resorts in the world and offers an array of accommodation, dining, gaming and entertainment options. 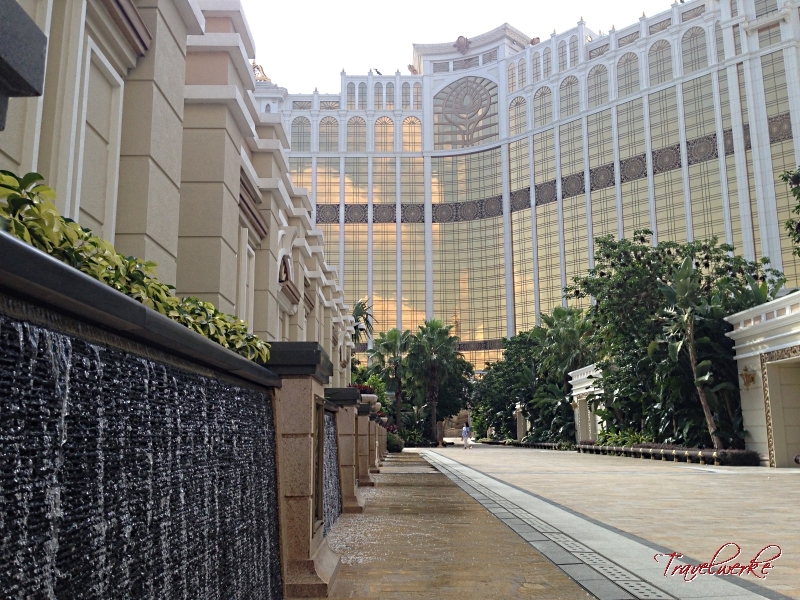 With 6 hotels to choose from, we opted to stay at the 1,500-room Galaxy Hotel during our recent visit to Macau and see how it performs against the competition. 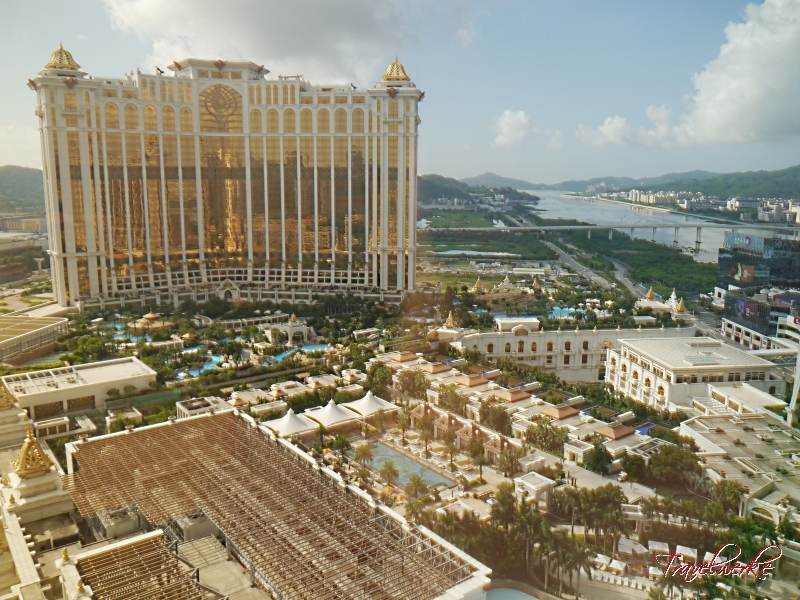 Occupying 1.1 million square meters of real estate, the expanded Galaxy Macau integrated resort is set within the reclaimed land of Cotai just off the main strip development. 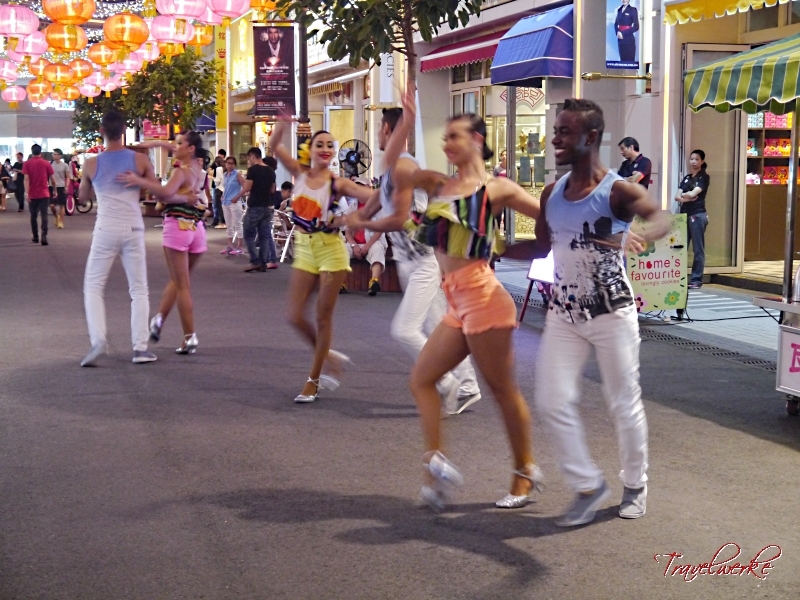 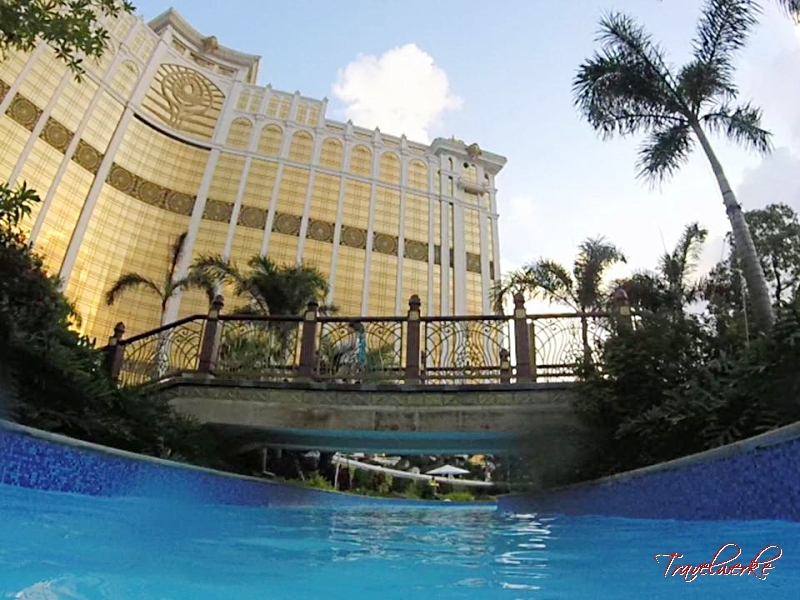 Located opposite the Old Taipa Village, the resort is a short 10 minute drive from Macau International Airport and the Taipa Ferry Terminal, while the Macau peninsula, Outer Harbour Ferry Terminal and Border Gate land crossing are easily reached with a network of complimentary shuttle coaches and good road infrastructure. 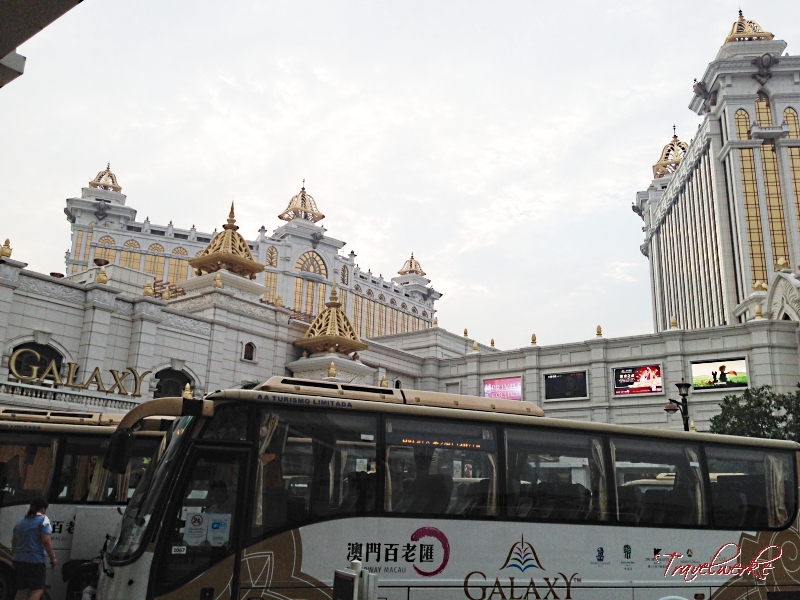 Getting to Galaxy Macau is very easy with the Galaxy Express shuttles located kerbside at the Taipa Ferry Terminal. 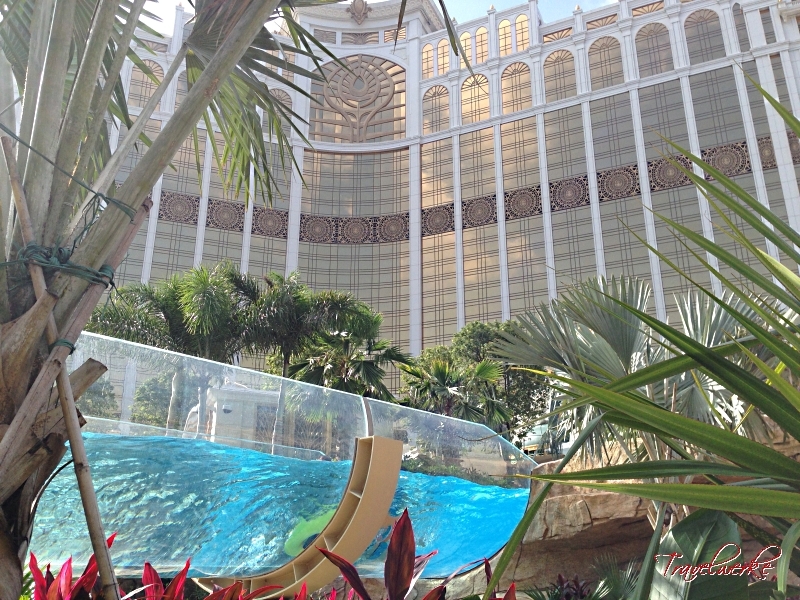 The air-conditioned and Wi-Fi enabled coaches take visitors in comfort to the resort’s own coach terminus, from where we make our way towards check-in via the Crystal Lobby. 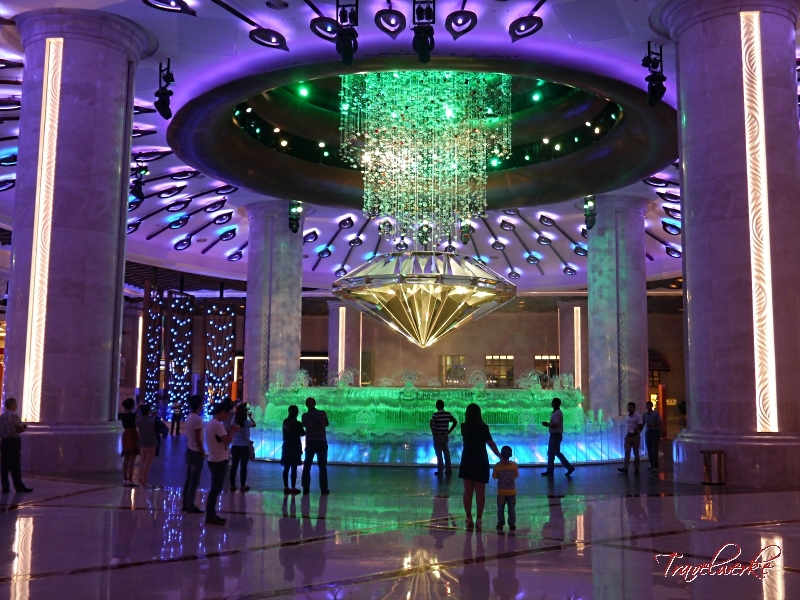 Featuring brightly-coloured columns that illuminate following a light sequence, this is one of several lobbies at the complex, all of which are named after gemstones. 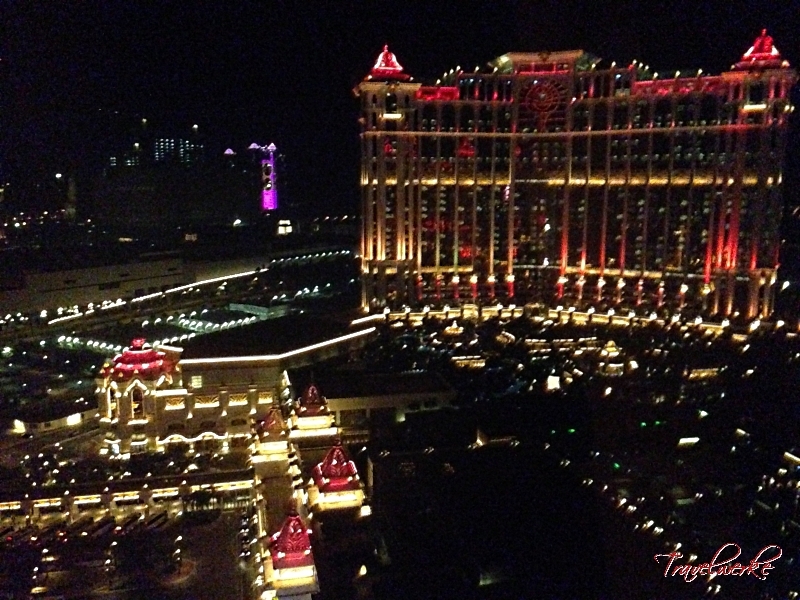 Being a casino resort with a large number of guestrooms, we expected a queue for check-in. 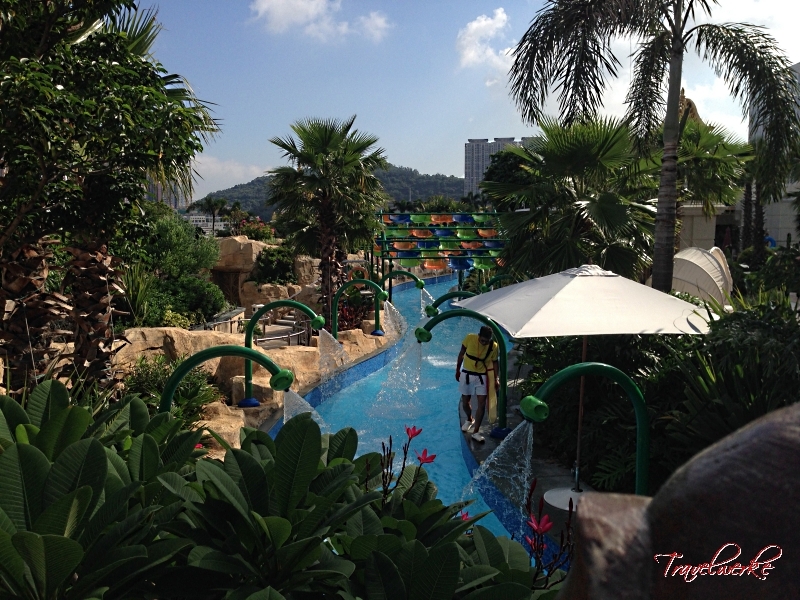 Fortunately, we arrived during an off-peak period in the afternoon when lines were shorter. 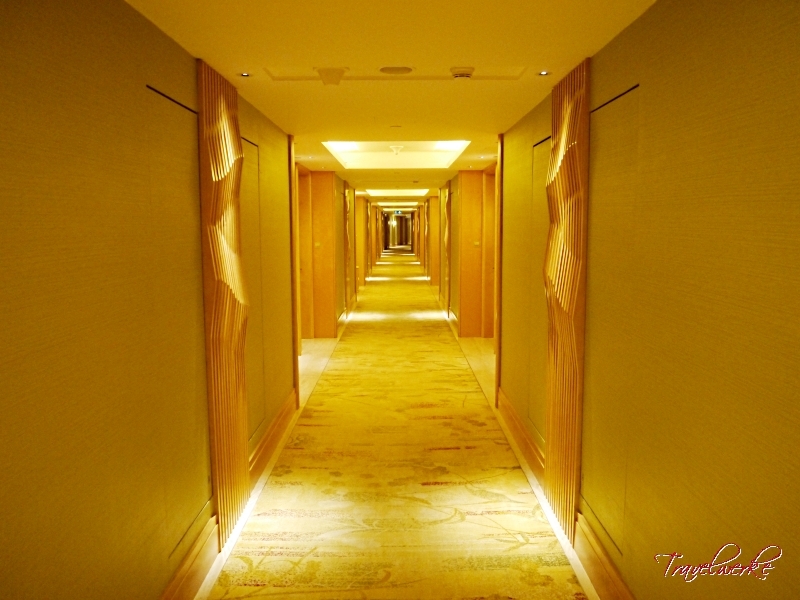 The management also did an excellent job at organizing the queue with ample staff members to direct guest, making the process very orderly unlike what we have seen at other similarly-sized hotels. 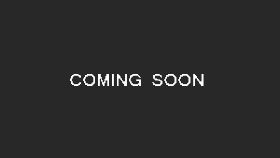 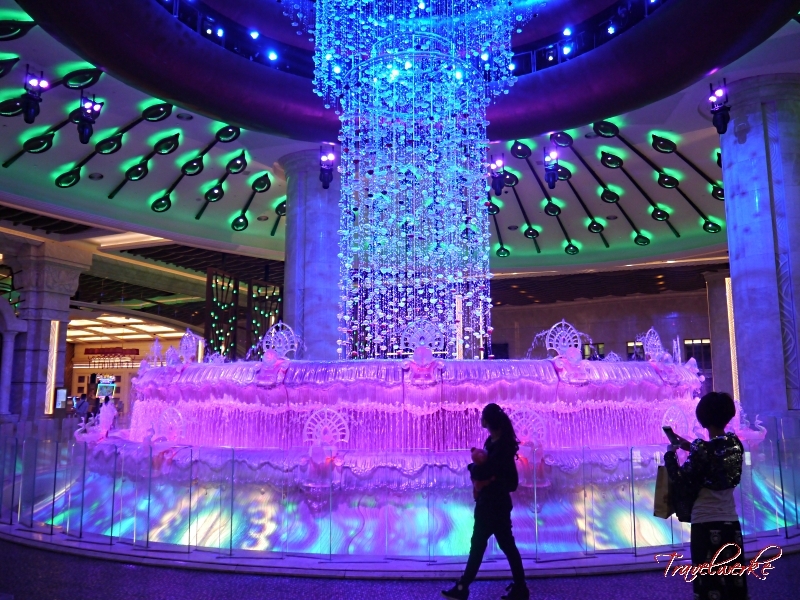 We were welcomed and attended to by a friendly and pleasant staff member who promptly confirmed our reservation requests and provided plenty of useful information when she learnt it was our first visit to Galaxy Macau. 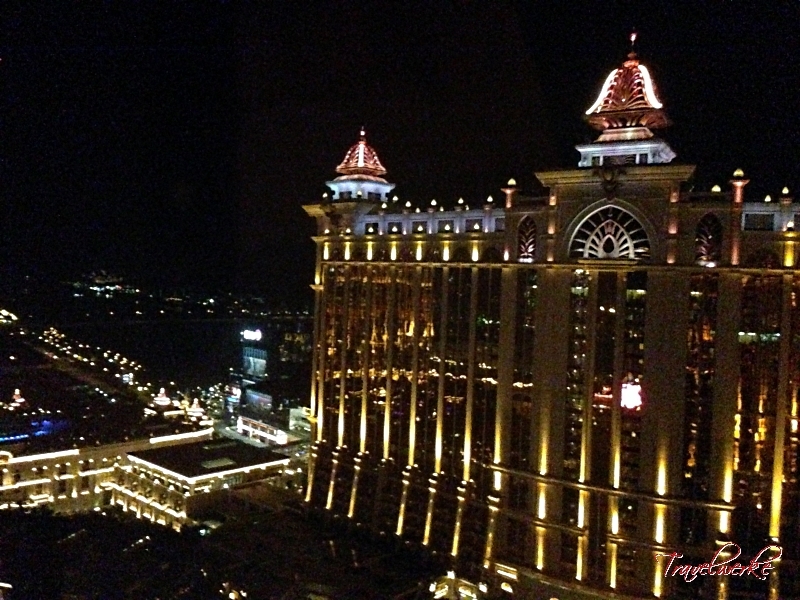 The Galaxy Hotel occupies one of the towers within the resort (with the other towers shared between the Banyan Tree Macau, Hotel Okura Macau, JW Marriott Macau and The Ritz-Carlton Macau) and we had requested a non-smoking room on a high floor facing the Grand Resort Deck prior to arrival. 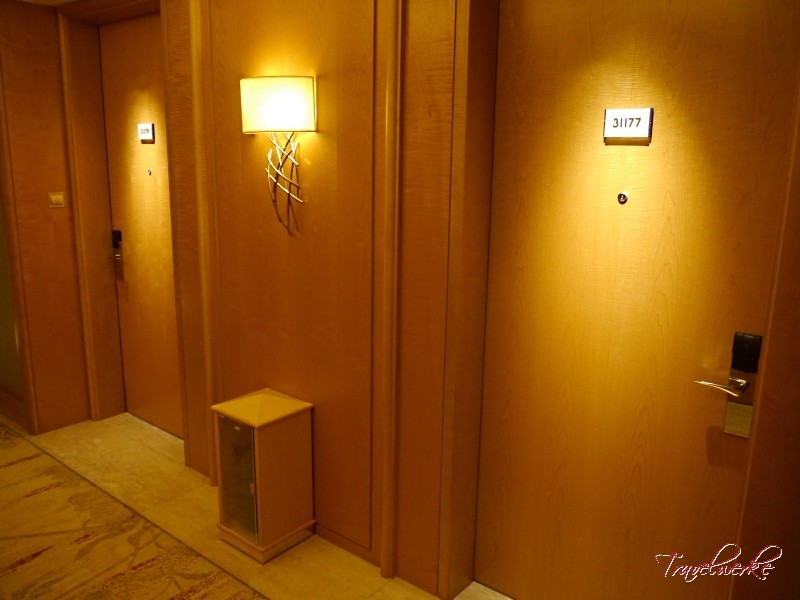 Having a large room inventory meant that the chances of requests being fulfilled are much higher and we were assigned a room on the 31st floor, albeit it being further from the elevators. 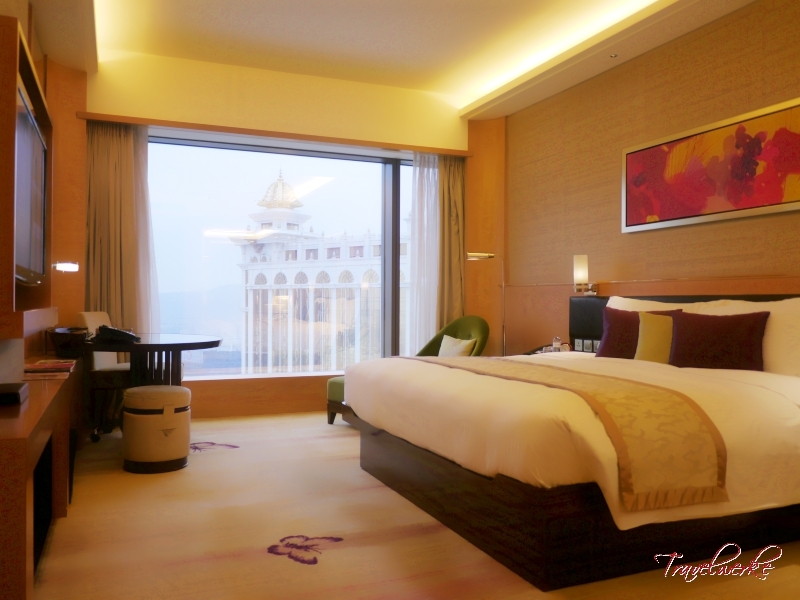 Entering the room, we were greeted by an inviting space with warm colours accented by a view of the palatial exterior of the opposite tower through the large floor-to-ceiling window. 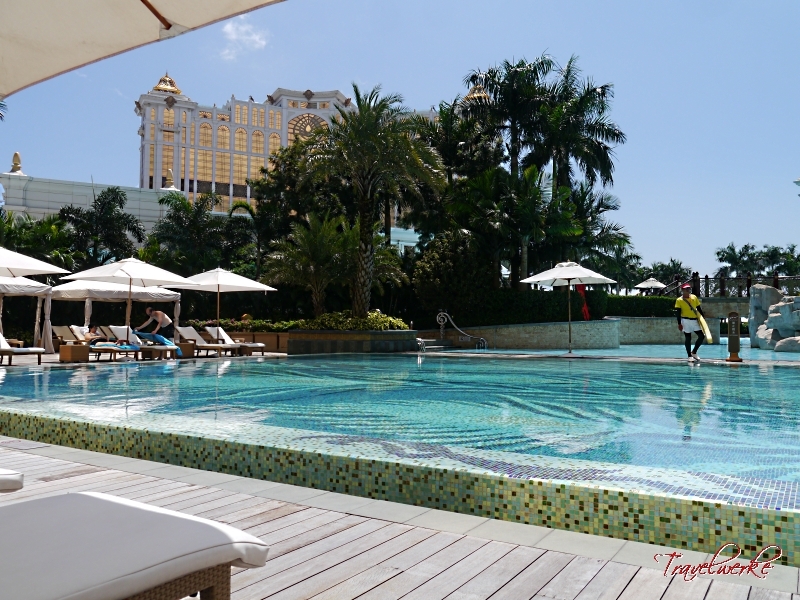 Although not the biggest in Macau, it was still very spacious and well-appointed as one would expect from a luxury urban resort. 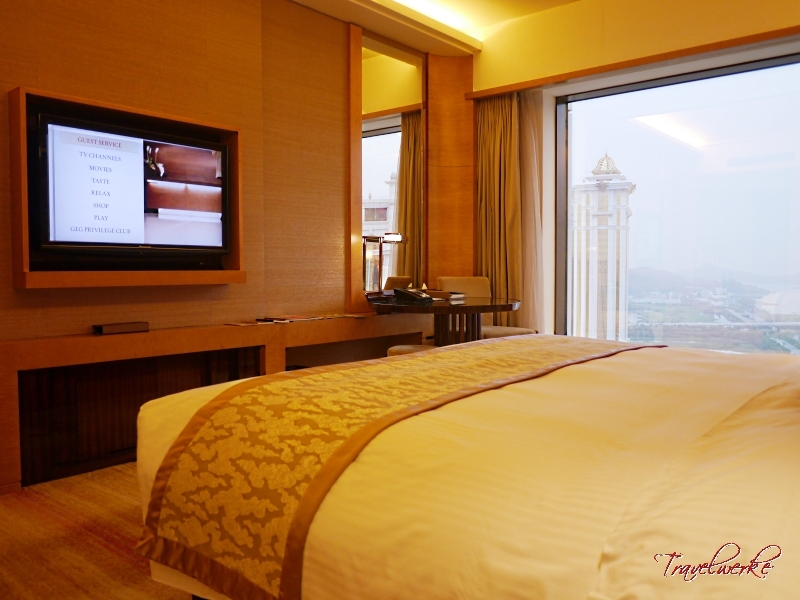 After a hectic morning travelling through Hong Kong and crossing the Pearl River Delta, we were ready to sink into the plush and comfortable King-sized bed (which went on to provide a further 3 nights of soulful rest ensuring we awoke rejuvenated in the mornings). 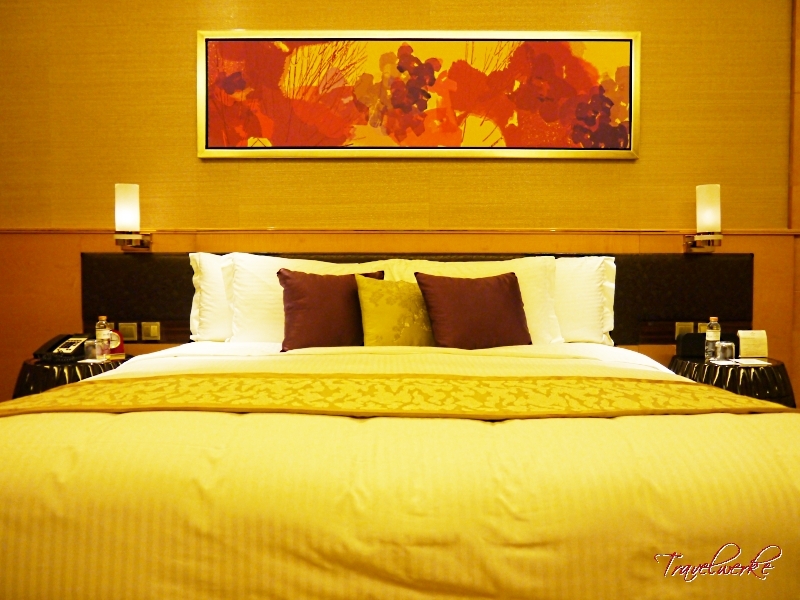 The bathroom follows the standard open-plan layout common to many modern hotels, with a shower stall and water closet on one side and a separate bathtub offering a view of the television on the other. 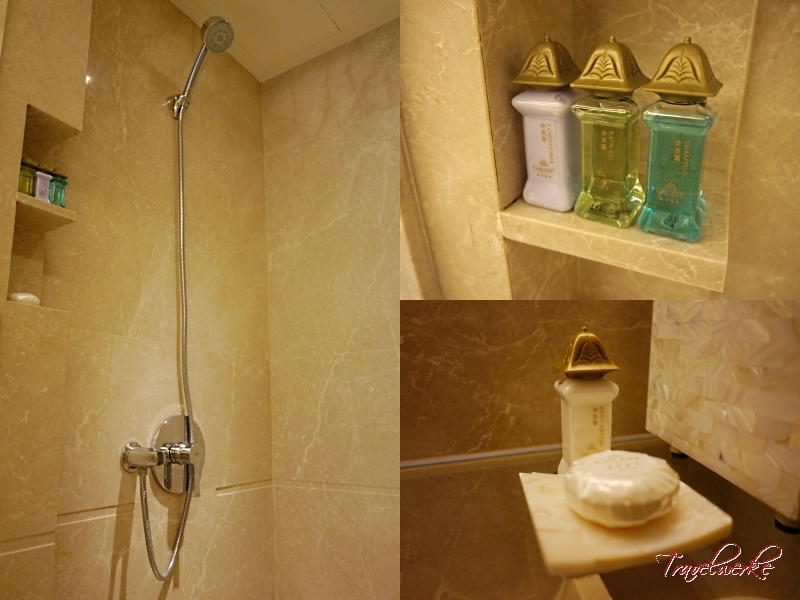 The neutral-coloured marble made for a bright space with the lights on, but we were rather disappointed that the bathroom only had a wand showerhead rather than a rainforest shower. 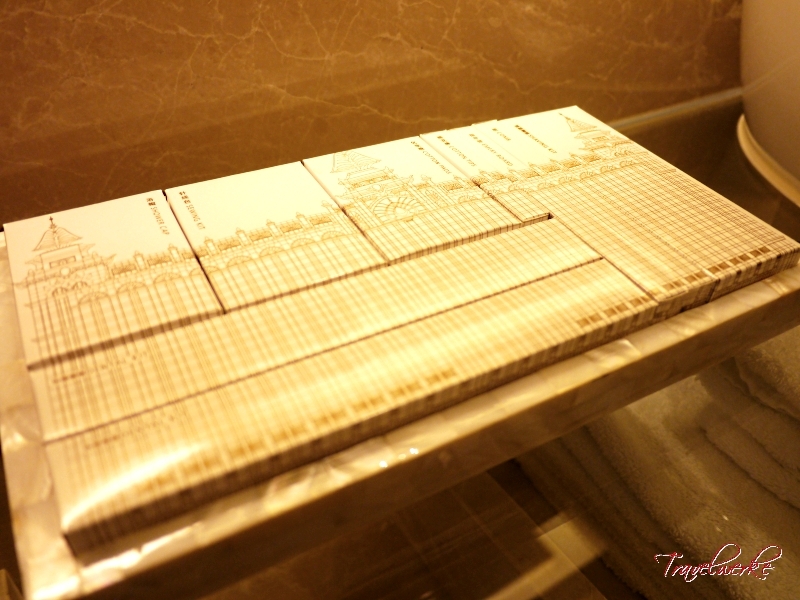 Despite this, water pressure was excellent and the hotel had provided good quality bath amenities including the shampoo, conditioner and bath gel shaped like the resort towers, as well as dental and shaving kits. 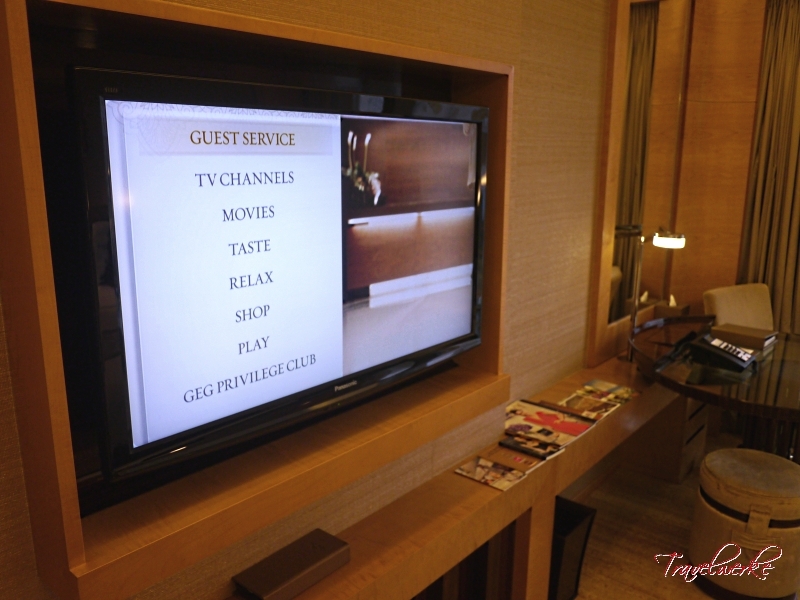 The wall-mounted flatscreen television offered a variety of cable television and pay-per-view movies, together with connectivity options for personal devices. 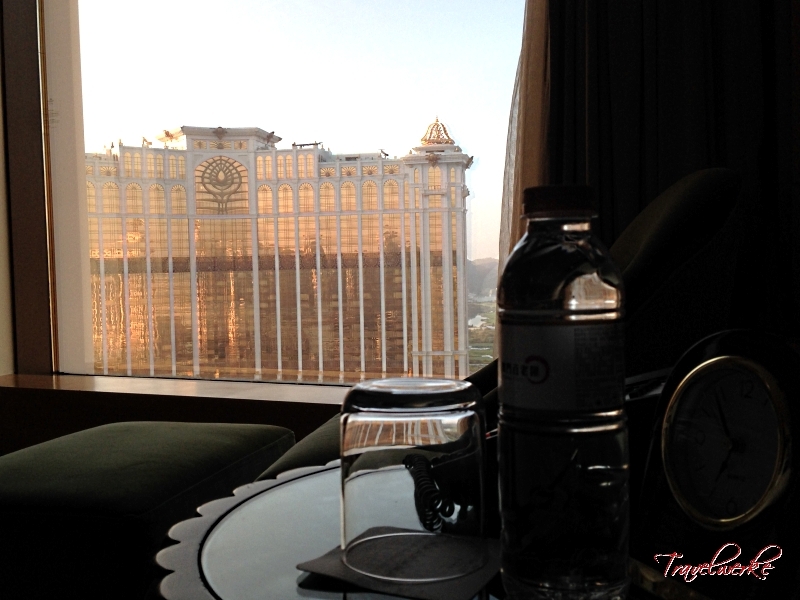 The bedside radio and alarm clock from Klipsch also doubled as a Bluetooth speaker, which worked effortlessly with our iPhone. 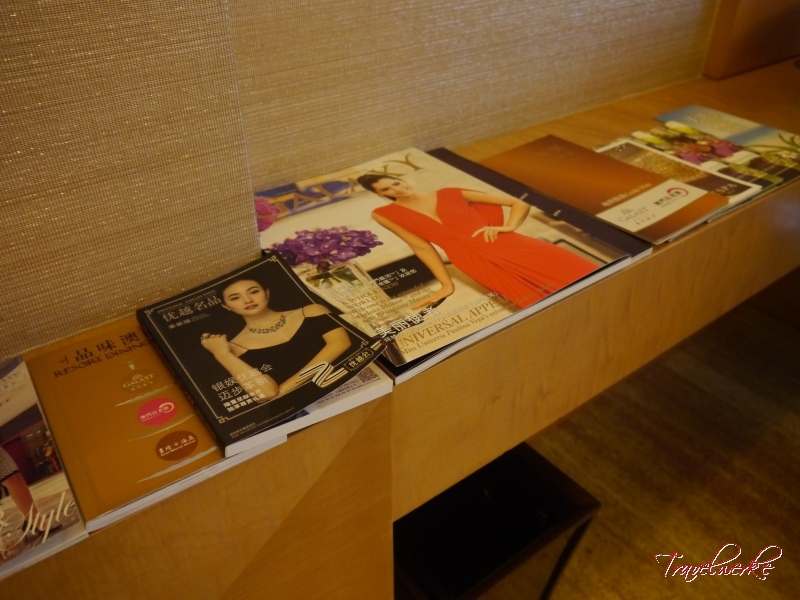 A collection of literature (including the resort’s Galaxy and Promenade magazines) were also placed in the room for guests’ reading pleasure. 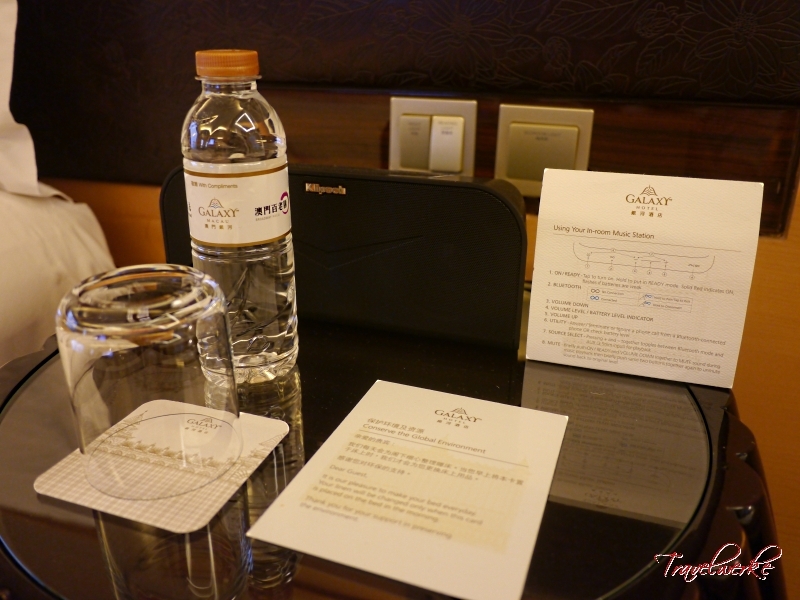 While most hotels now offer complimentary internet at the expense of connectivity speeds, we were pleased to find the Wi-Fi at Galaxy Hotel to be fast and stable, allowing us to get some work done during our stay. 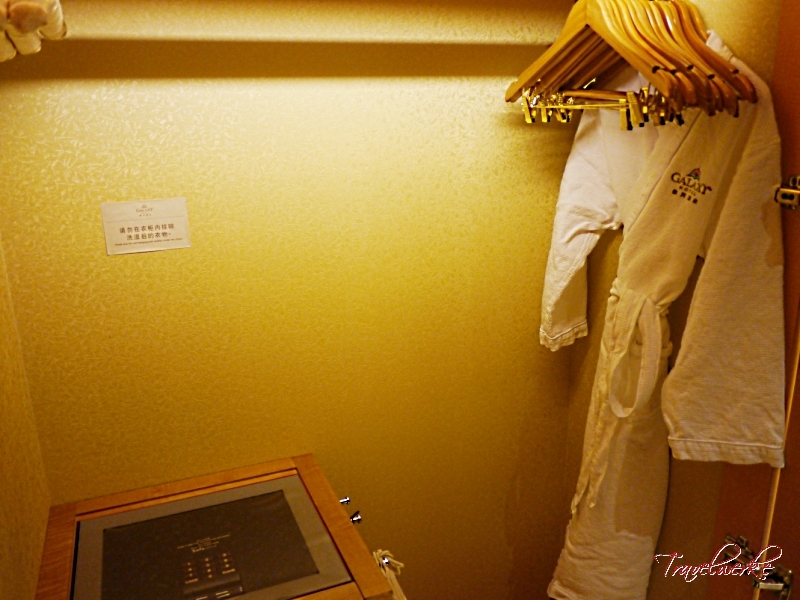 Also present in the room was the large closet and electronic safe, which could easily store a 15-inch laptop and other valuables. 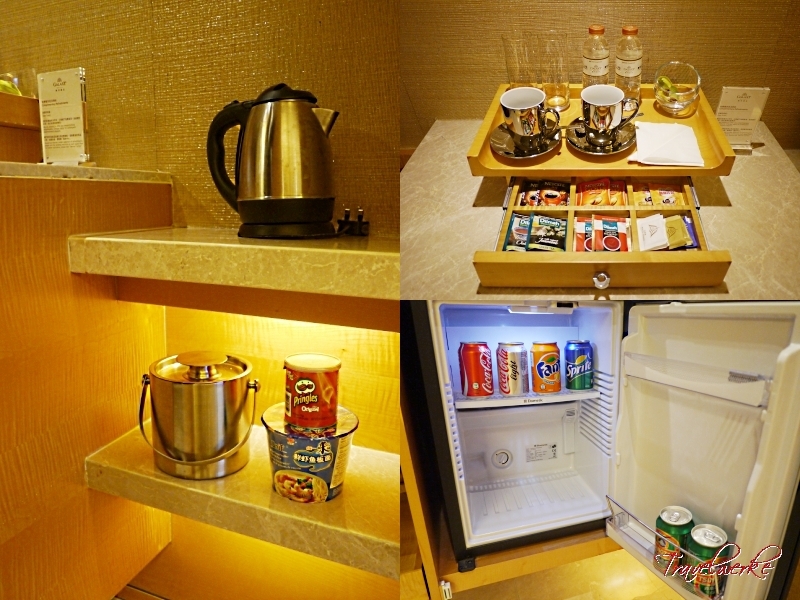 For the convenience of guests, each room also came with coffee-/tea-making facilities and a minibar which was complimentary for the first round. 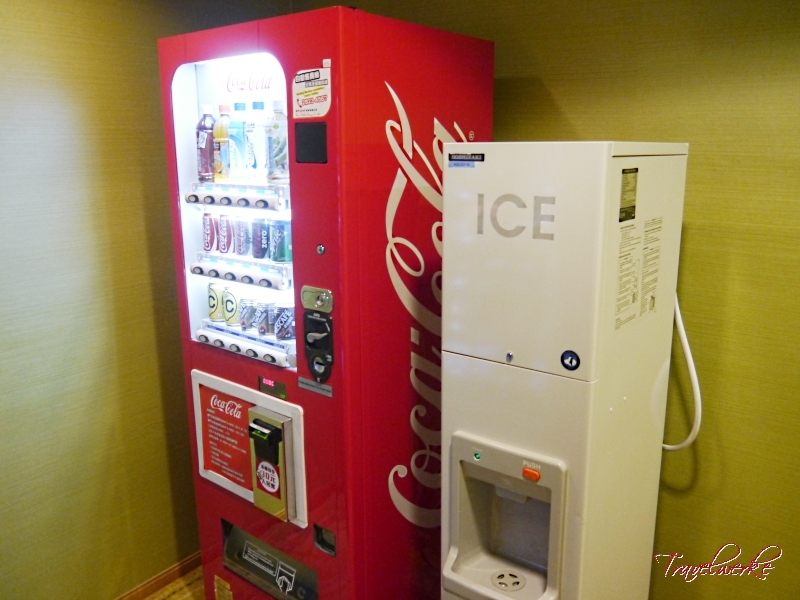 The hotel charges for refills, but offers guests the option to purchase drinks and snacks from vending machines located on every guestfloor. 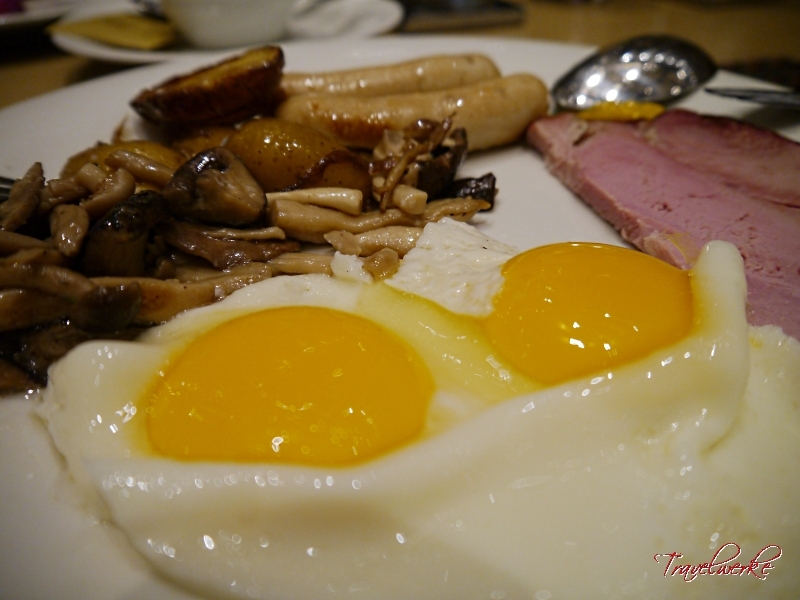 We had booked a rate package that included breakfast at the Festiva restaurant. 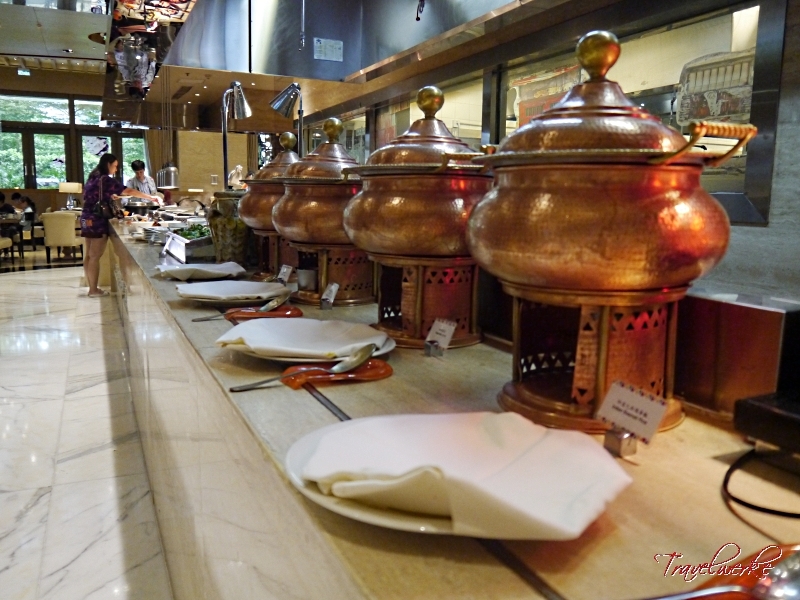 This is the main all-day dining venue for the Galaxy Hotel and caters to guests from different nationalities and cultures. 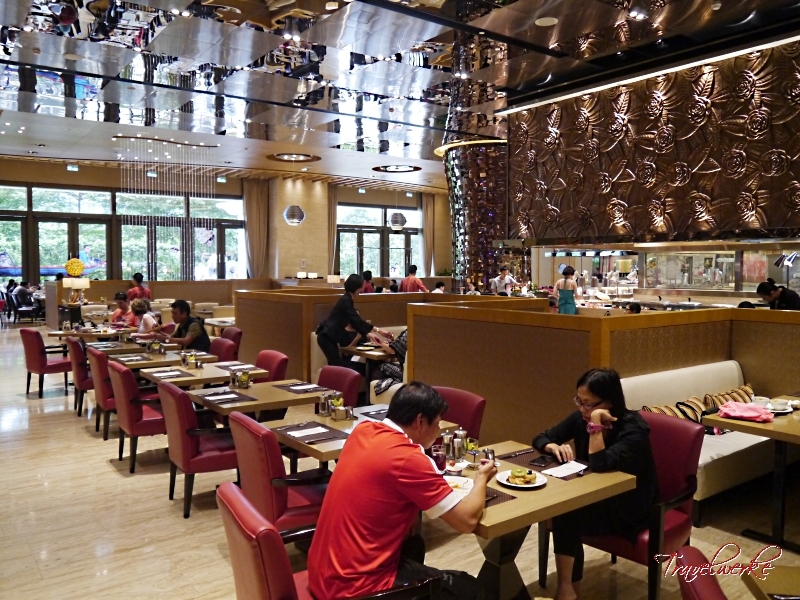 High ceilings and large glass panels letting in natural light create a bright and airy, casual dining space that ensured the restaurant never felt over-crowded despite the large number of guests. 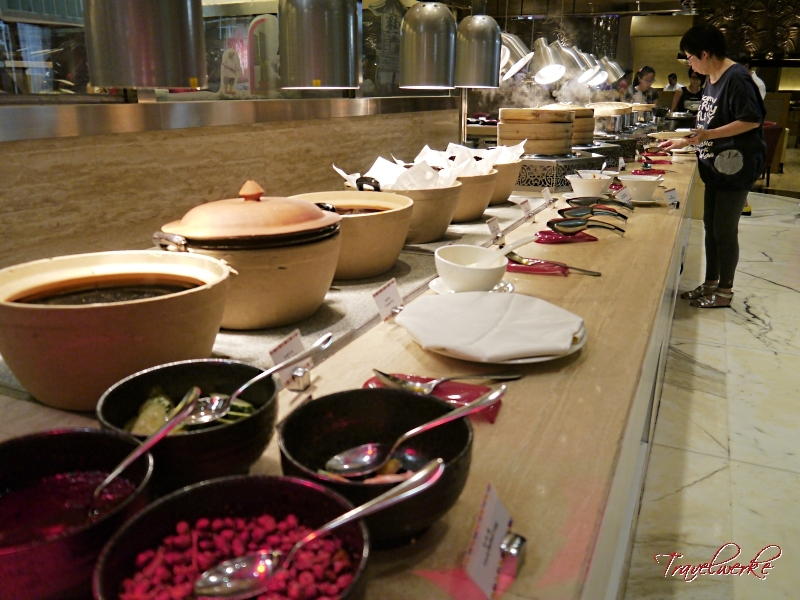 Spread out across several islands, the buffet line serves a wide variety of food items representing the major Asian and international cuisines. 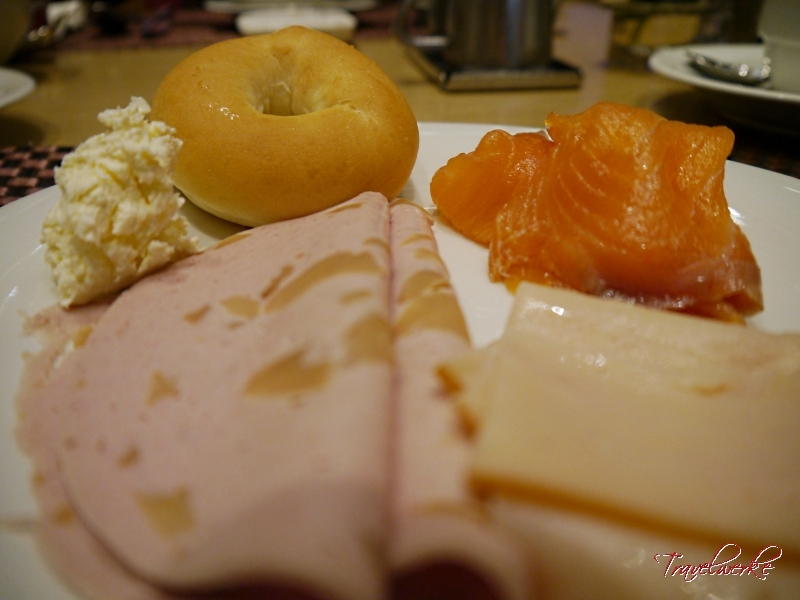 Ranging from breakfast staples such as bacon and sausages to Chinese soup noodles and Indian curries, we were able to try something different from the extensive selection each morning. 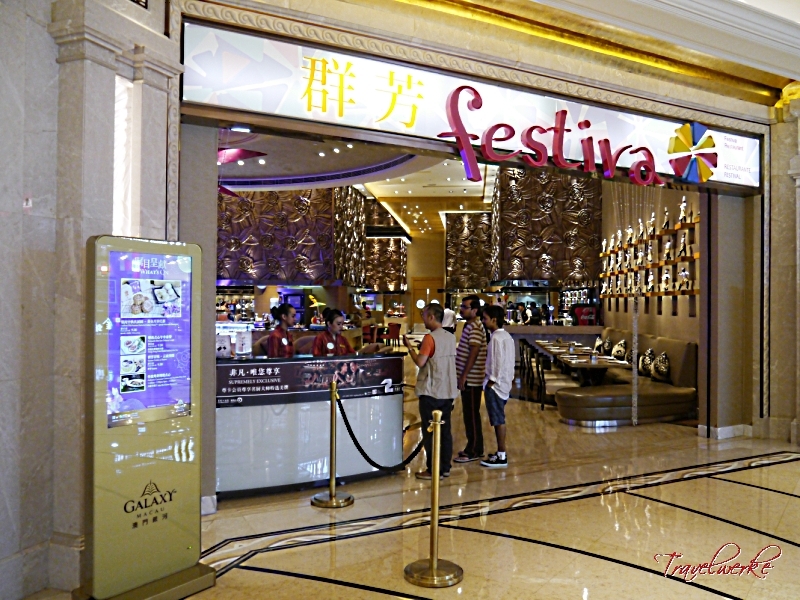 Festiva is just one of over 120 dining venues at the Galaxy Macau, ranging from casual dining to Michelin-starred fine-dining establishments. 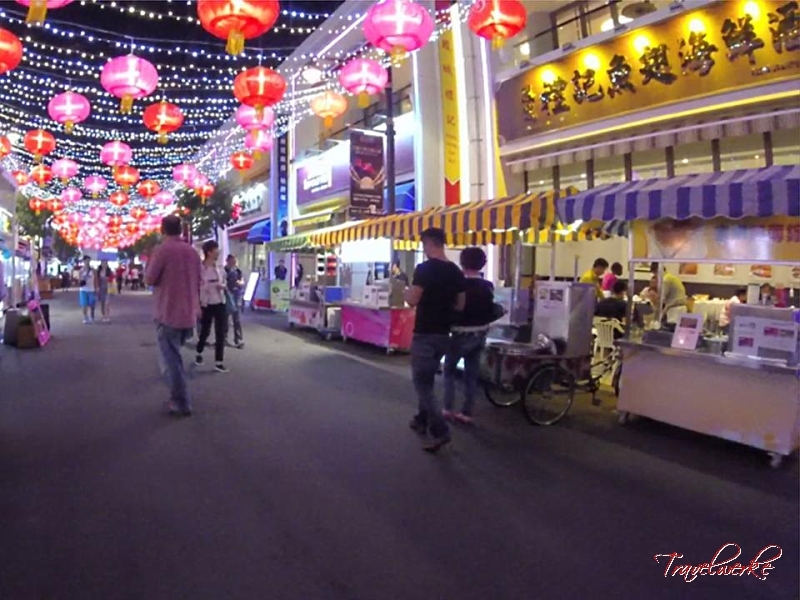 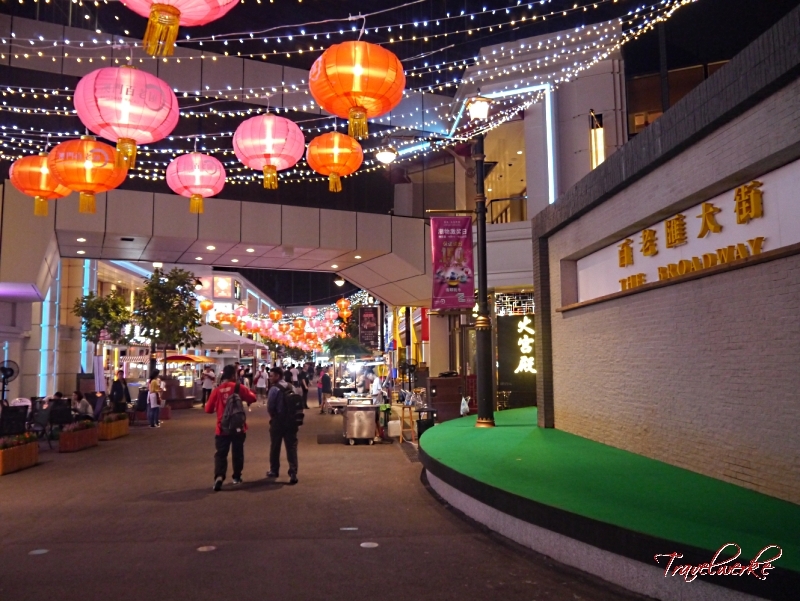 The Galaxy Hotel also features Cantonese cuisine at Laurel and Jin Yue Xuan, as well as Italian restaurant Terraza and Portugese/Macanese cuisine at Gosto. 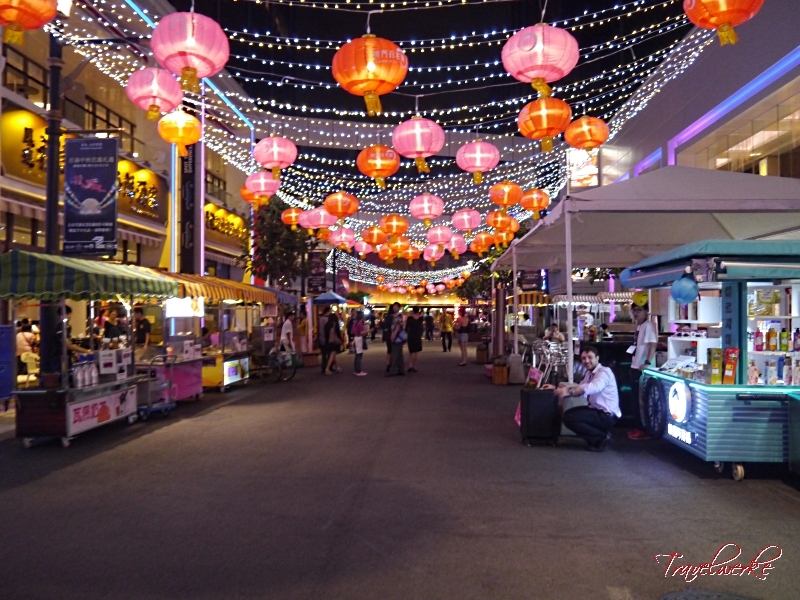 Beyond the Galaxy Hotel, guests and visitors can enjoy a multitude of cafes, restaurants and bars at the other hotels within the complex. 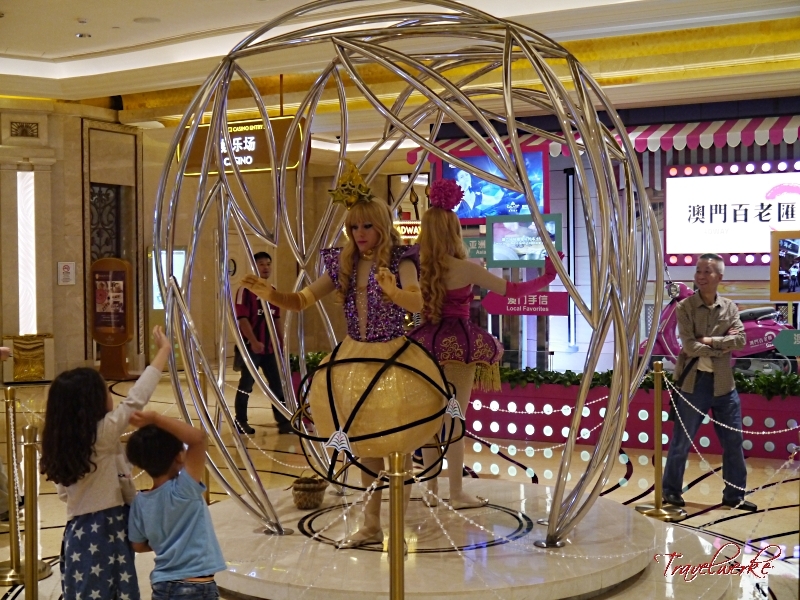 Among the newest are the outlets at the recently-opened Broadway Macau, comprising well-known names from around the region including Nan Xiang Steamed Bun Restaurant from Shanghai, Taiwan’s Du Xiao Yue and the steamed milk pudding from the Yee Shun Milk Company, a local favorite. 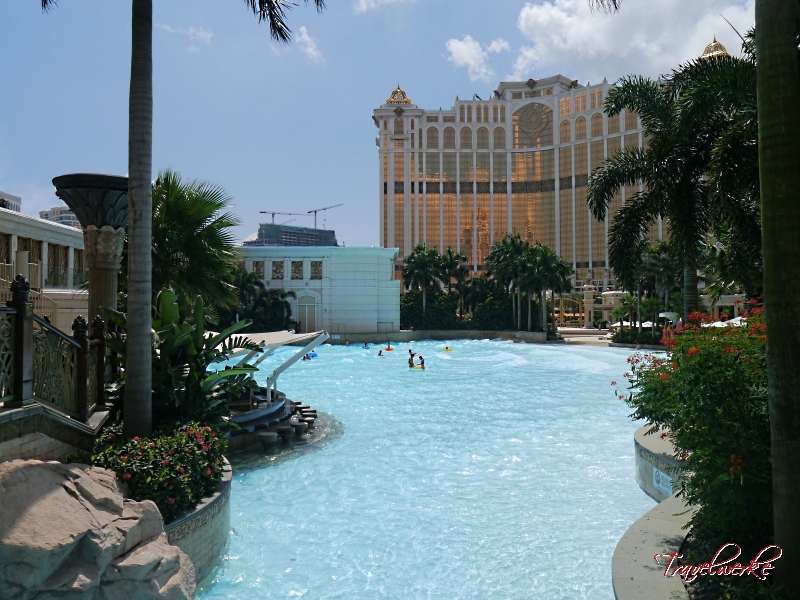 A standout feature for the Galaxy Macau is its extensive sun and pool areas that rival those of its Las Vegas counterparts. 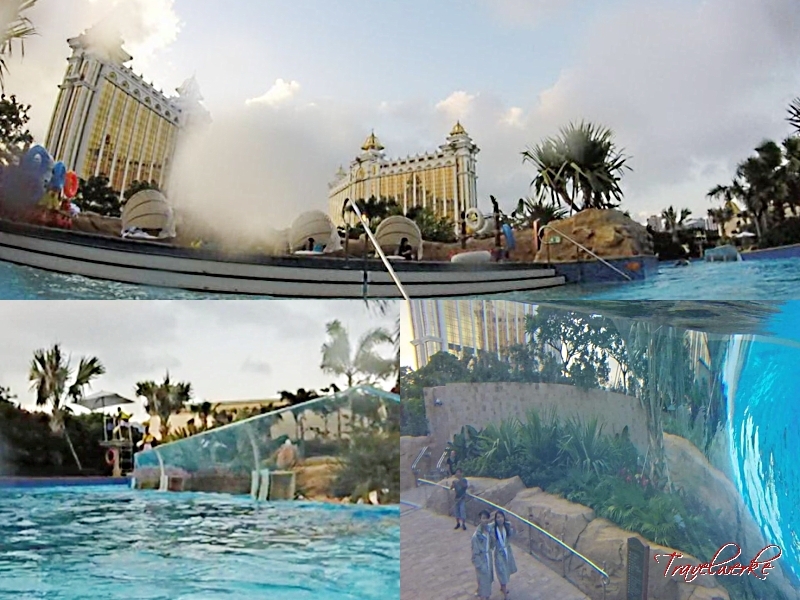 Each hotel has its own swimming pool exclusive to their guests and the Galaxy Hotel’s pool is set below the tower, surrounded by deck chairs and cabanas. 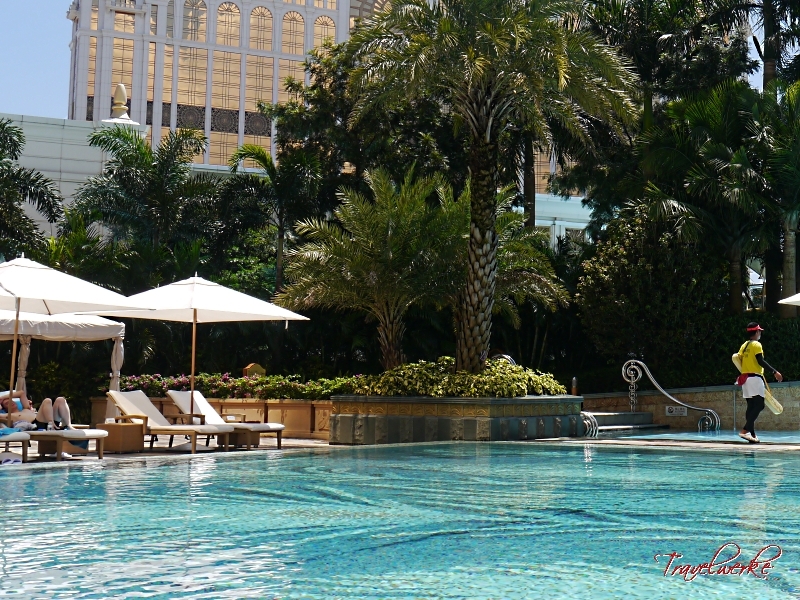 In line with the resort’s peacock design inspiration, the mosaic tiling is beautifully designed with peacock feather motifs complemented by lush vegetation for a tropical feel. 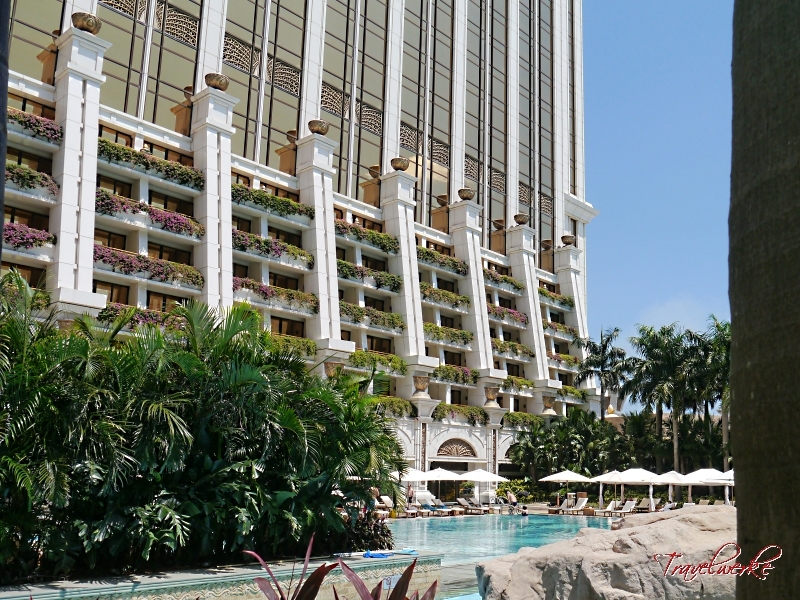 Hotel guests also enjoy complimentary access to the 75,000-square meter Grand Resort Deck. 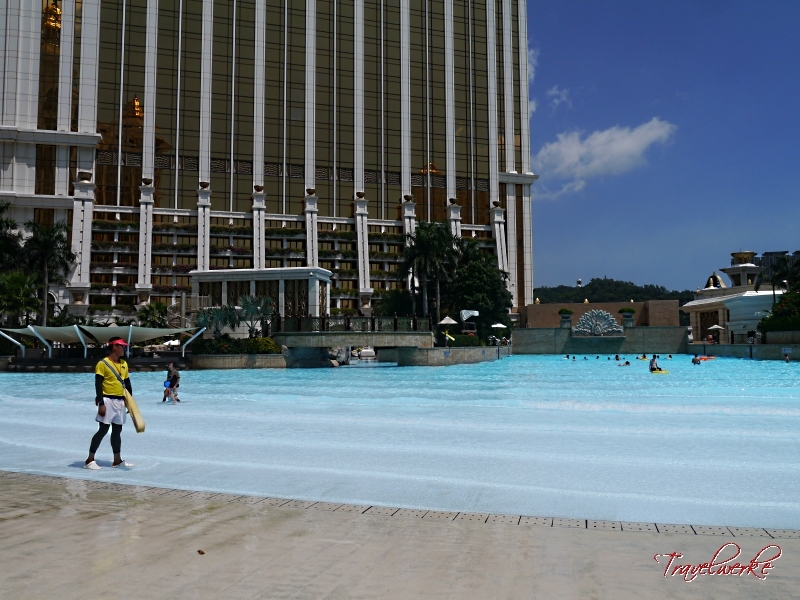 When it opened in 2011, the space made waves (pun intended) in Macau with the world’s largest skytop wave pool and a 350-ton white sand beach. 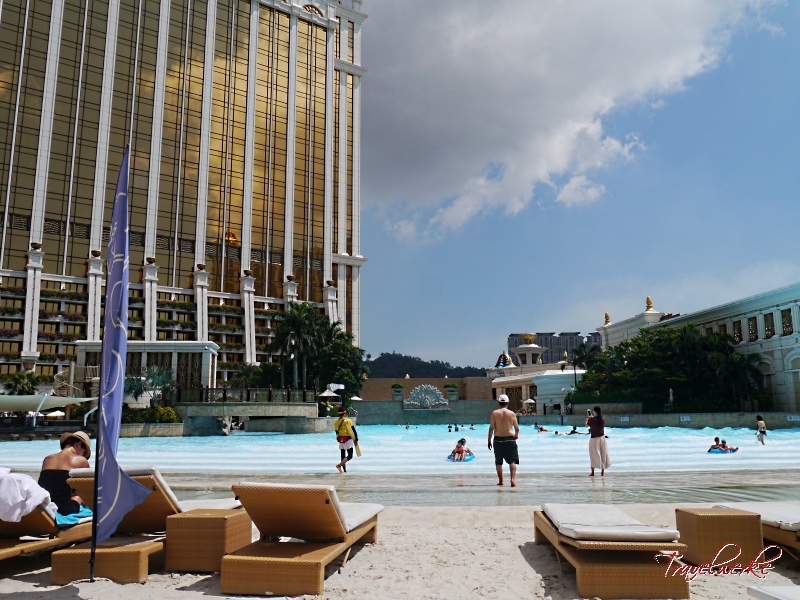 With our stay taking place towards the end of summer, we spent most of the daylight hours relaxing on the man-made beach and cooling off in the gentle swells of the wave pool. 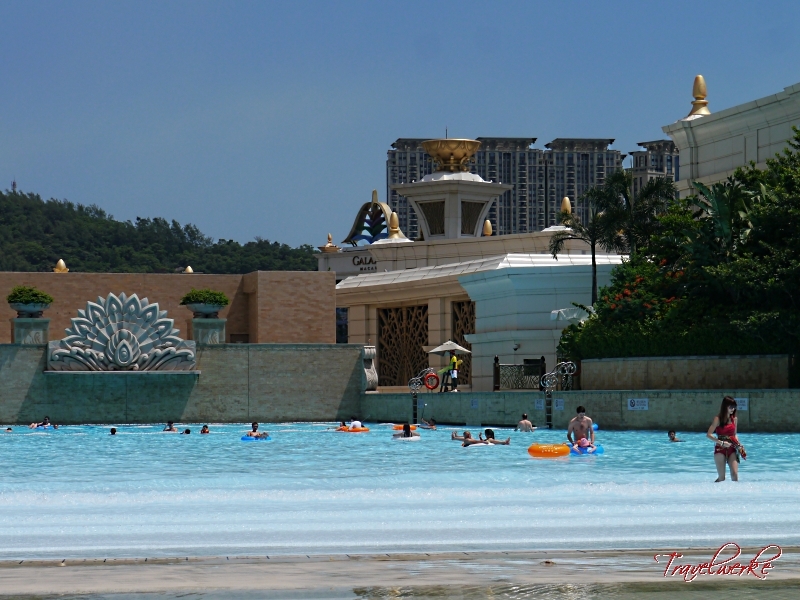 With the opening of the resort’s phase 2, the Grand Resort Deck was also expanded to include Macau’s only skytop waterslides and a 575-meter lazy river. 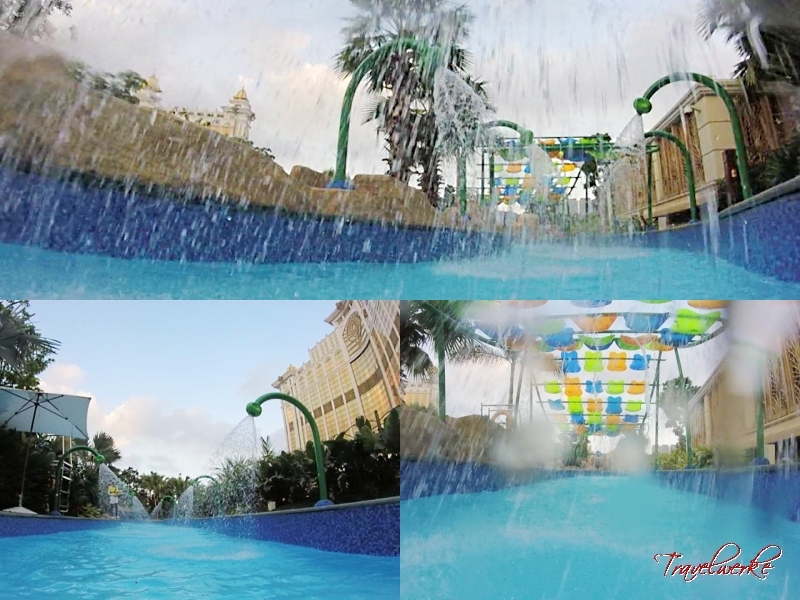 Featuring 9 interactive water features (including a transparent halfpipe section), the attraction can accommodate up to 1,500 guests at a time and was highly popular with both adults and children. 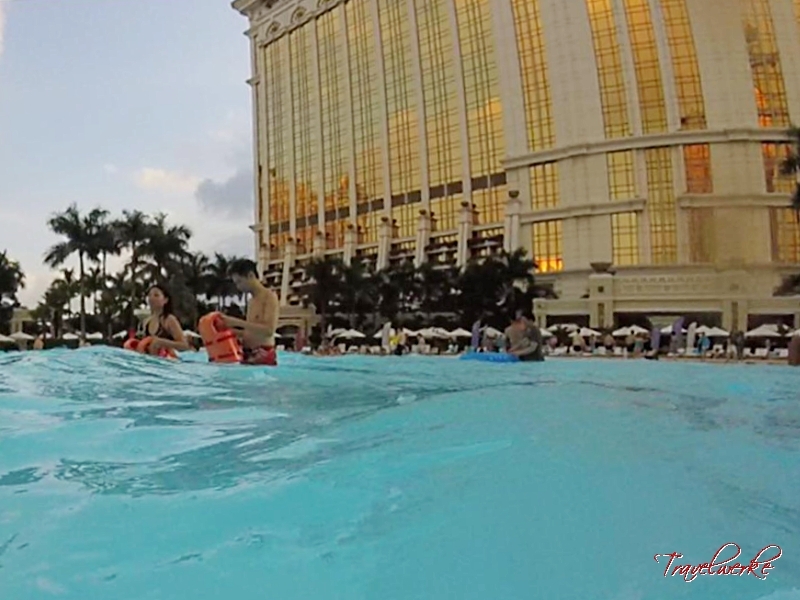 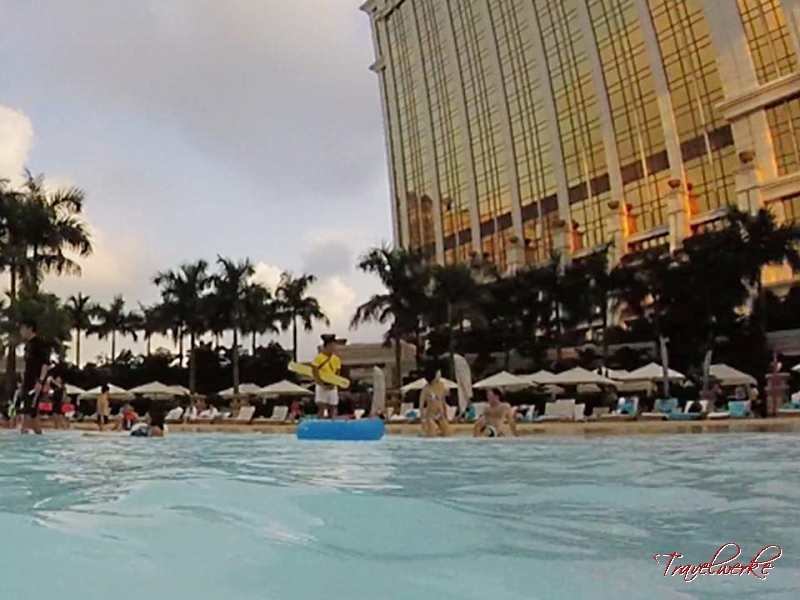 Sat on an inflatable swim ring, we were able to take in the beach surroundings and architecture of the complex while gently floating along the water. 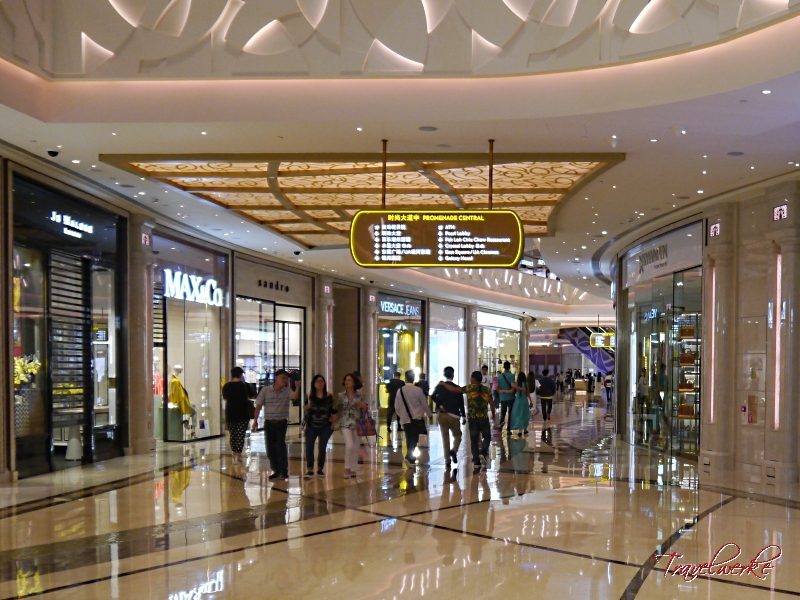 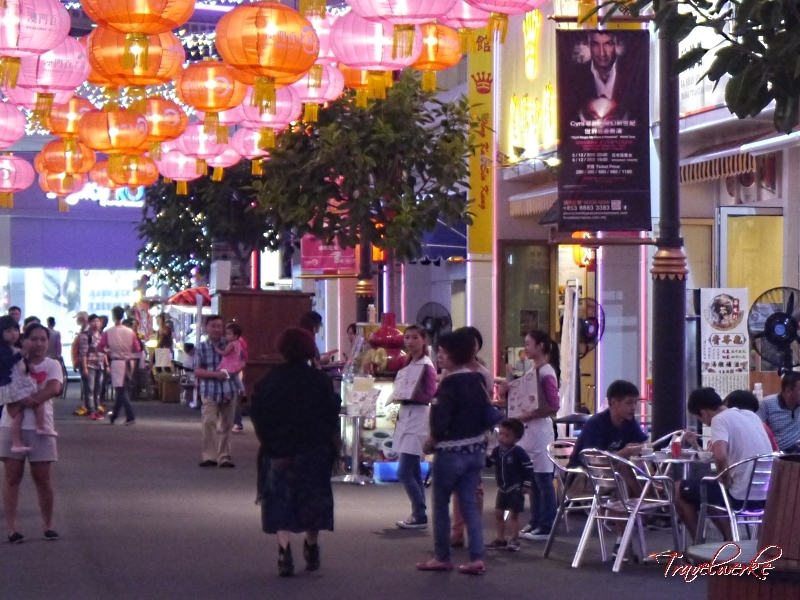 Like any other mega integrated resort, Galaxy Macau offers guests a luxury shopping precinct in the form of The Promenade Shops. 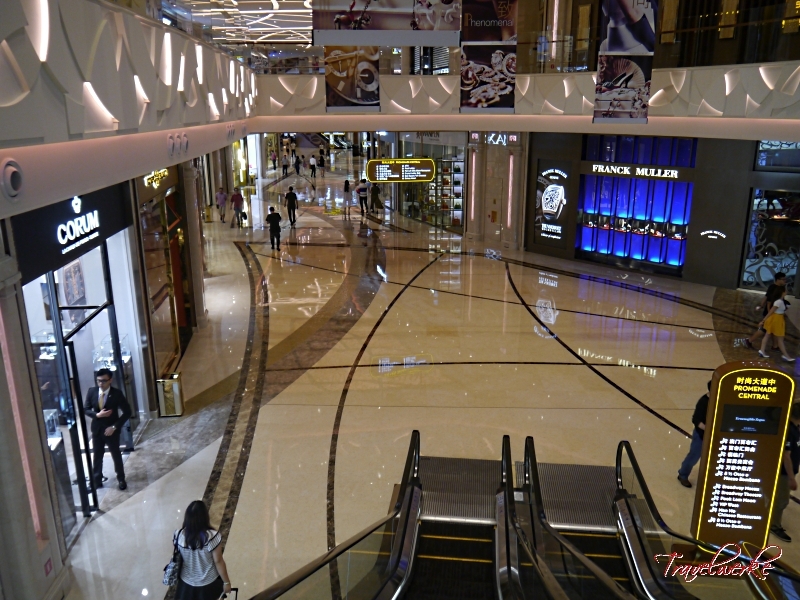 Guests can indulge in an immersive retail experience at over 200 shops, ranging from flagship stores to high-street lifestyle brands, covering all types of goods from fashion, jewellery and timepieces to electronics and accessories. 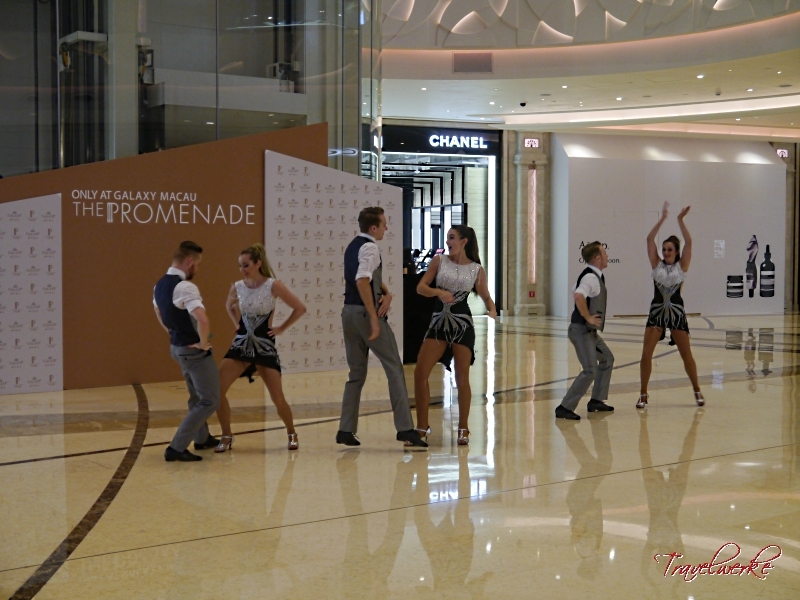 Entertaining guests while they shop are the resident music and dance performances, which take place daily adding a touch of vibrancy around the resort. 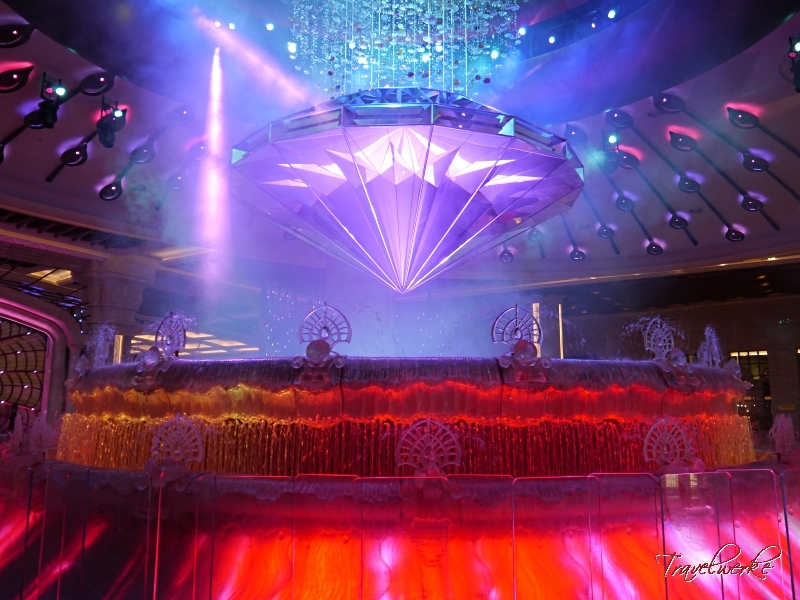 Returning to the Galaxy Hotel, we caught one of the displays of the Fortune Diamond in the resort’s main lobby. 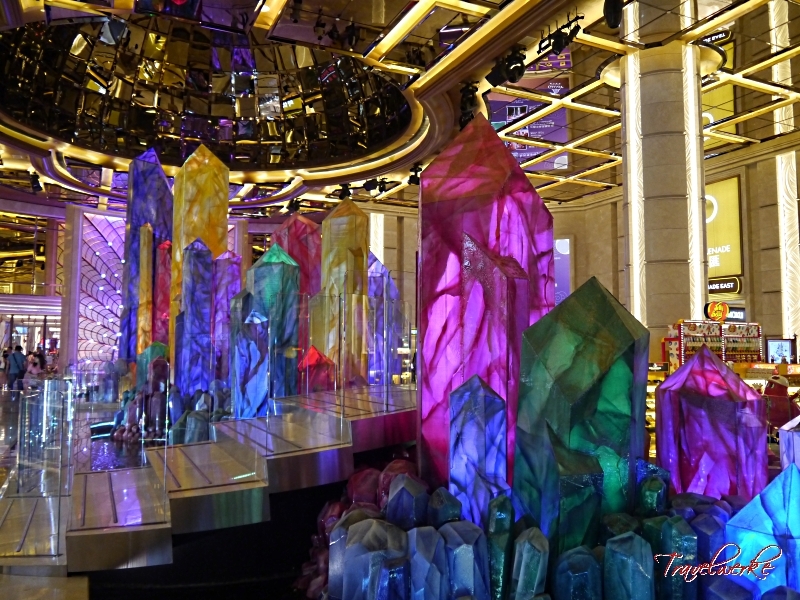 Undoubtedly designed with a fengshui element given its location outside the casino entrance, the entire structure enthralls first-time visitors entering the property and is performed every half hour throughout the day. 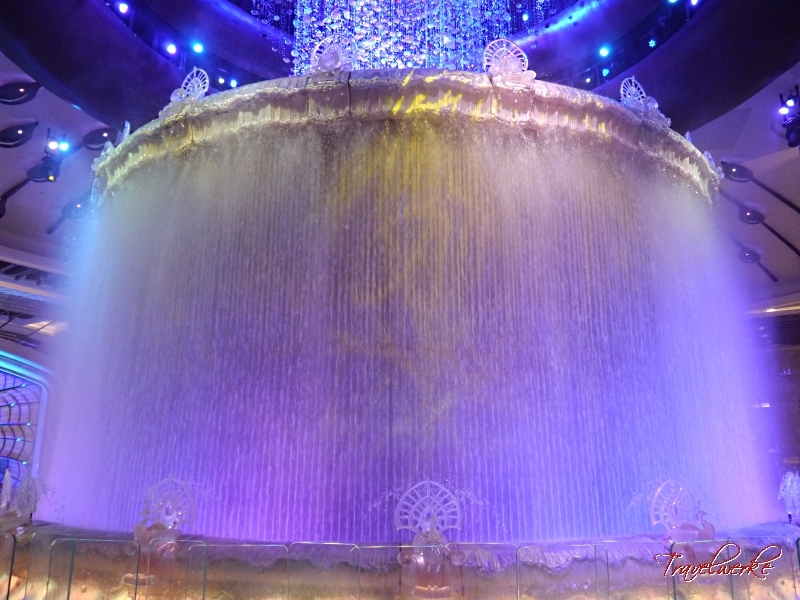 Rising from behind a curtain of water, the giant diamond-shaped sculpture is illuminated by a rainbow of colours from the programmed light sequence. 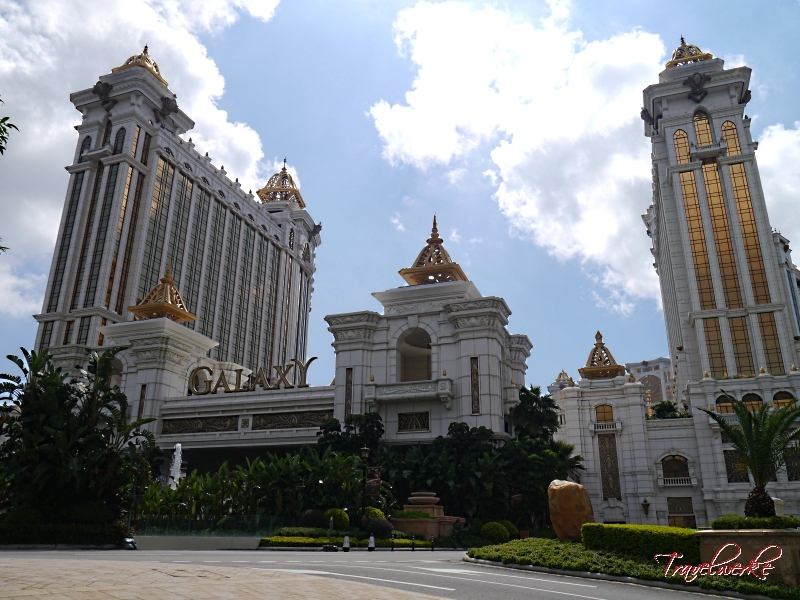 The light show continues outside as the golden facade of Galaxy Macau in daylight gives way to the varied colours of the Galaxy Laserama. 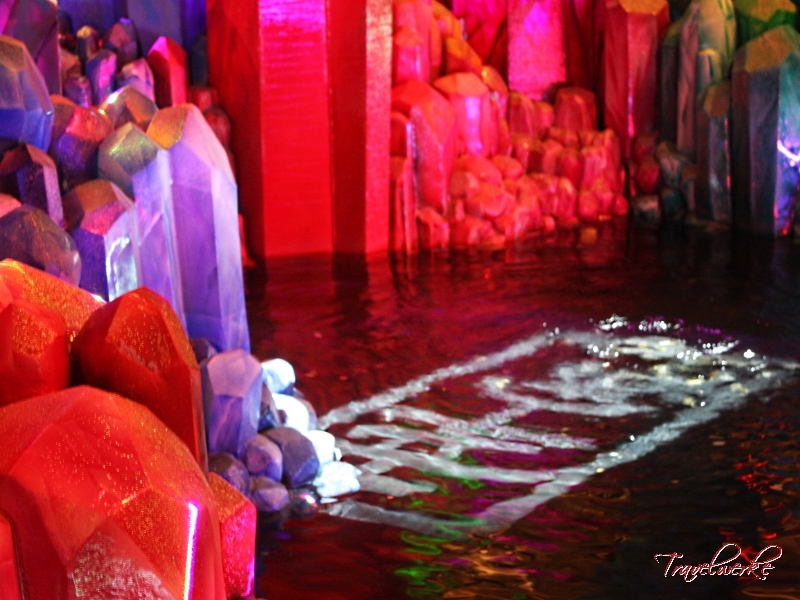 Billed as one of the largest laser shows in the world, the hotel towers illuminate and project light beams into the sky following 8 different programmed sequences, while the Skytop Adventure Rapids transform into a ribbon of light against the darkness. 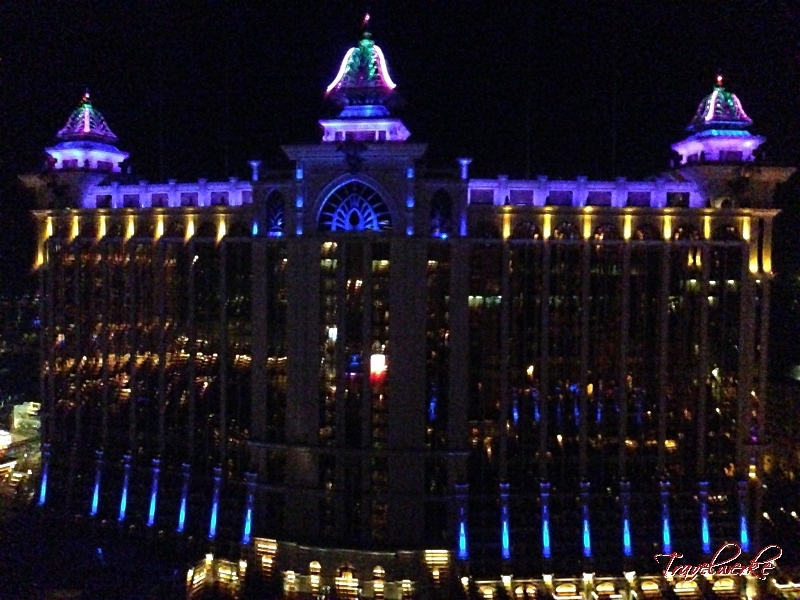 We had a front row seat to the spectacle from our room, taking place before our eyes on multiple occasions each night. 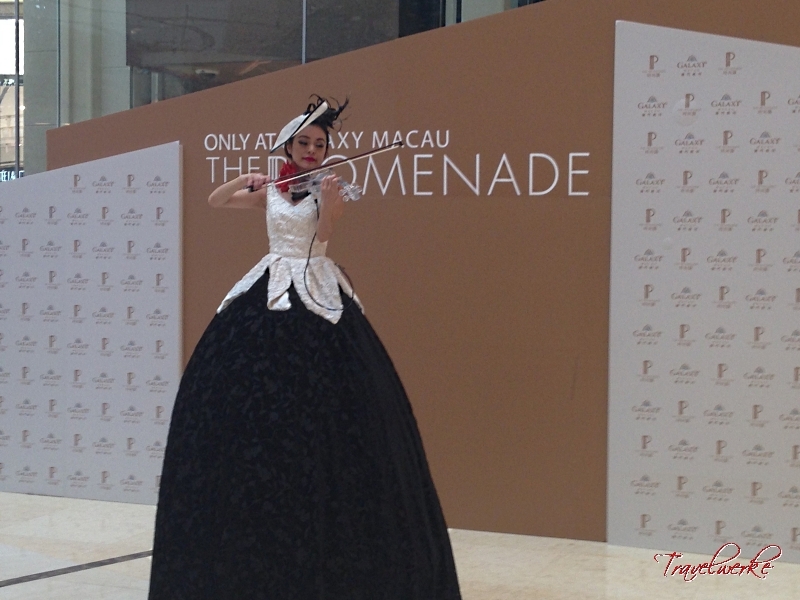 ‘World Class, Asian Heart’ – The service philosophy of the Galaxy Macau is perhaps best epitomized by its gracious welcome ambassadors, chosen from across the region and standing at a minimum height of 1.72 meters. 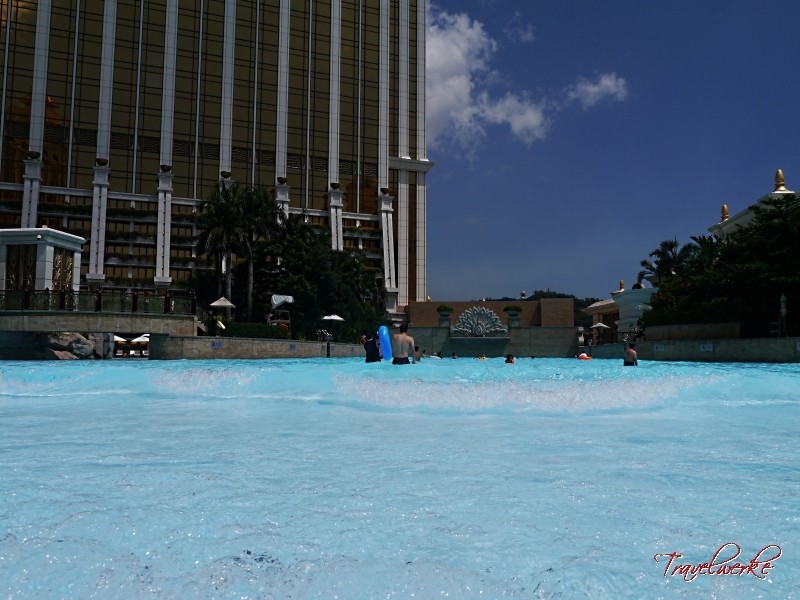 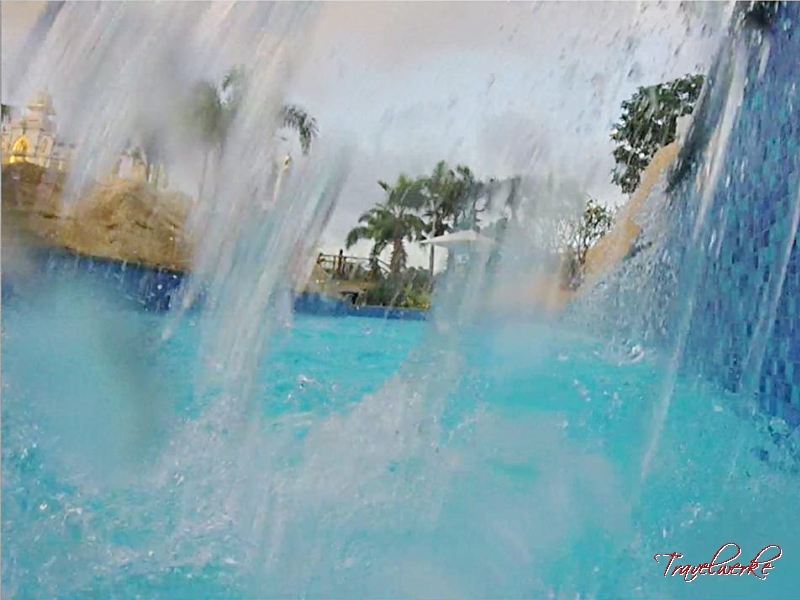 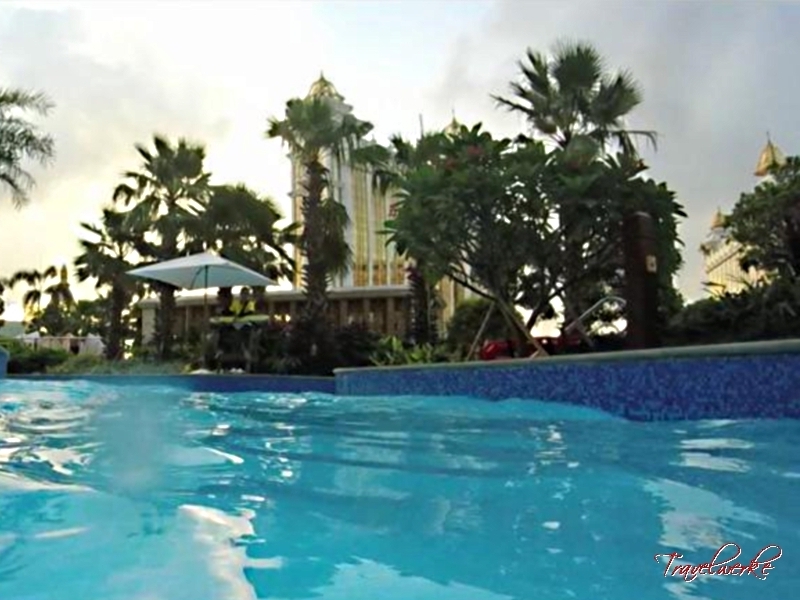 Like them, most of the staff we encountered at the Galaxy Hotel, from the reception staff to housekeeping and the pool attendants at the Grand Resort Deck, were friendly, polite and helpful. 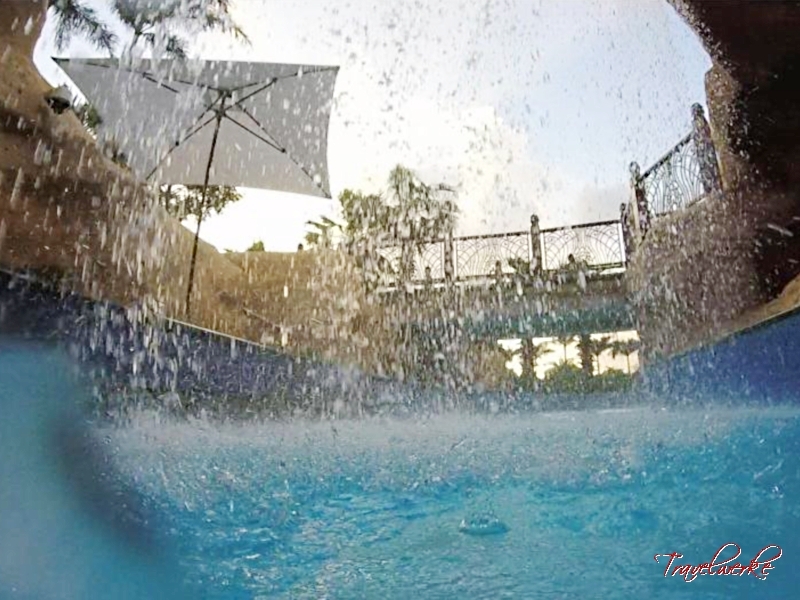 However, this positive service culture is somewhat blemished by the indifferent (and at times rude) attitudes of the shuttle coach drivers, who we felt could use some training in guest relations. 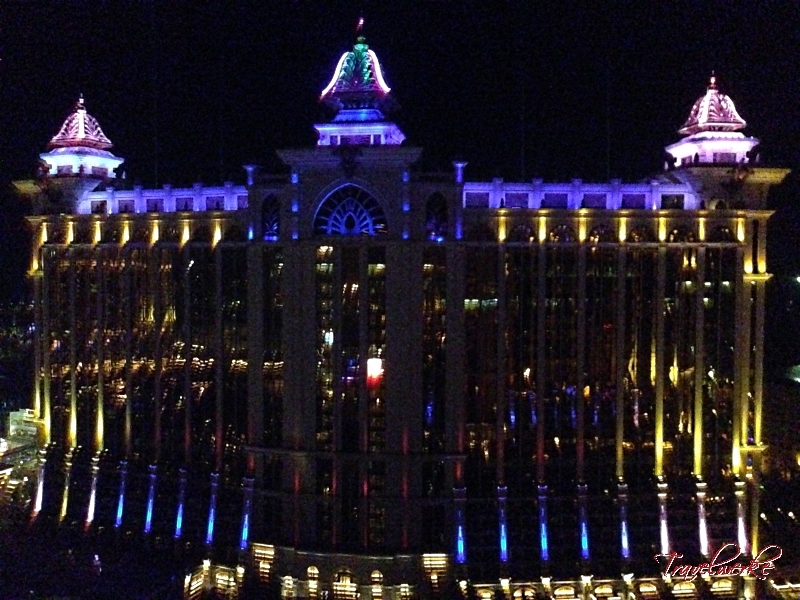 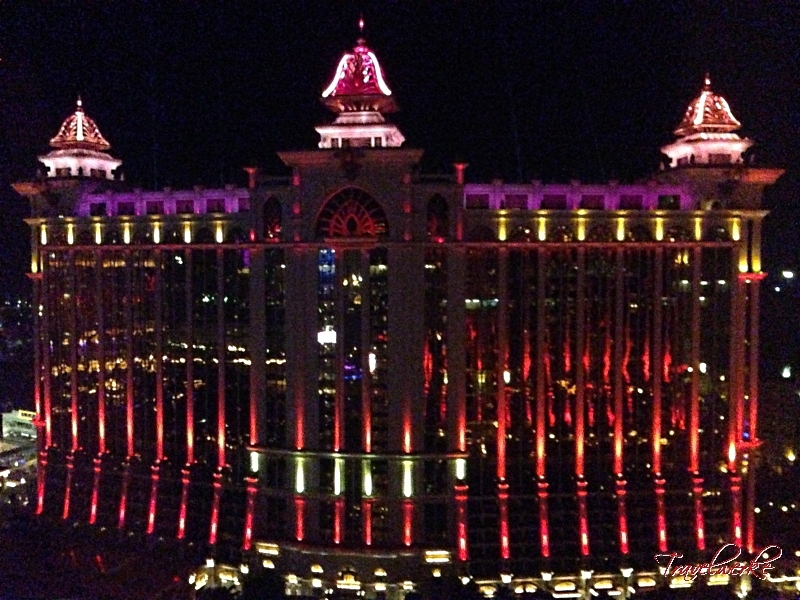 All things considered, we loved the Galaxy Hotel and would not hesitate to recommend it to anyone visiting Macau. 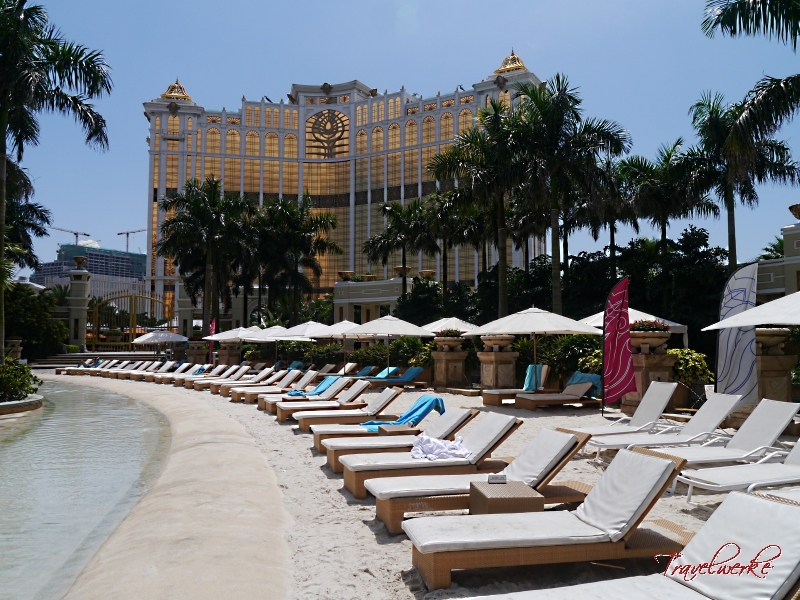 Luxurious accommodations, culinary diversity, top-class entertainment and facilities ensure it has all the trappings of a mega-resort at superb value, while Asian roots give it a unique identity and distinguish it from the American-developed competition.